Bamboo & Rice Drinkware - The New Favourite! Bamboo & Rice Drinkware – The New Favourite! We’re simply IN LOVE with this new collection of promotional bamboo and rice drinkware! Made from a masterful combination of high-quality bamboo and rice fibre, each item is either fully or partially recyclable, and can be used as many times as you like. From our experience, we’ve learned that target consumers don’t respond well to bland and boring; they respond to new and exciting. Not to mention, the planet is overrun by coffee lovers – take advantage of it! To be green, is to be cool nowadays. An eco-friendly approach will certainly win you some unique brownie points with your audience (and other companies), which will manifest itself in the form of greater business. Without further ado, let me direct your curious eyes to our brand new collection of bamboo and rice drinkware, below! The smart and stylish sidekick to tired mornings! 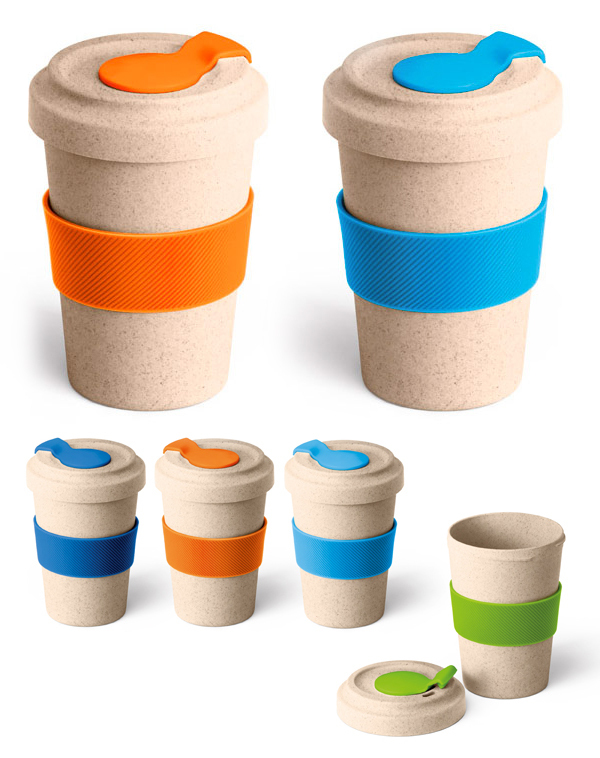 Made from the fibre of bamboo and rice, these come with a silicone sleeve and lid which comes in a range of vibrant colours. Get them here. 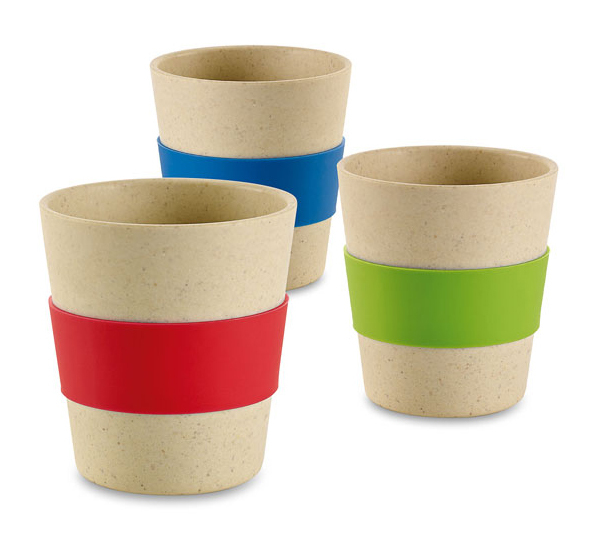 Our next superstar piece is the Koko bamboo cups. Built again using a durable marriage of bamboo and rice fibre, and offers a smart print area and colourful grip for that extra bit of personalisation. Get them here. Strong, stylish, and silky smooth to the touch. Get your marketing mitts on these Etsu bamboo travel mugs for your next campaign to boost brand awareness. Featuring a handy silicone lid to prevent spillage and a colour-matched grip for better usability. Plus, they look awesome – that’s all. Get them here. 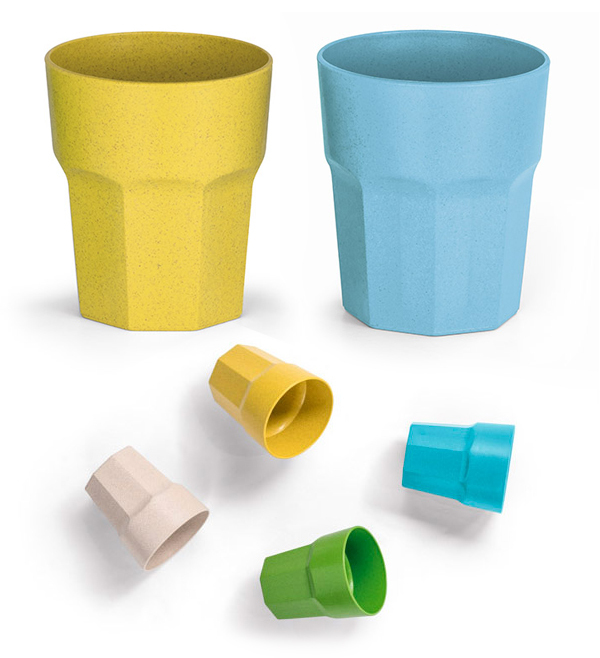 These fun little cups are completely made from rice (okay, I sound like a loony reading that aloud). 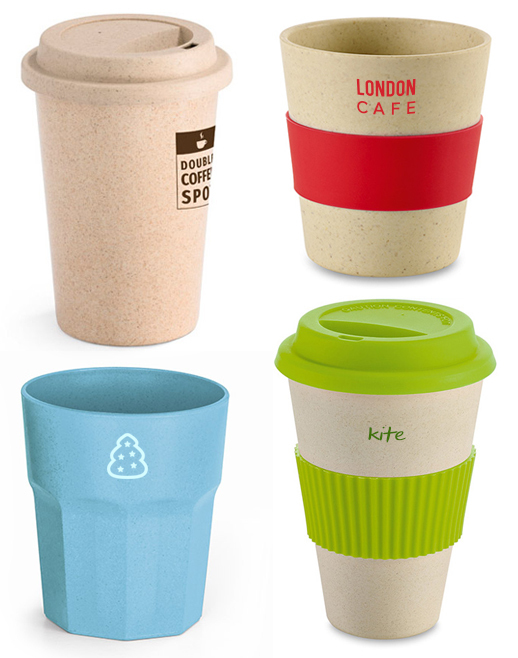 Remarkably tough and completely recyclable, these make for perfect giveaways or drinkware for your venue or event! Get them here. Boasting that very 2018, rustic look; these will look fashionably fancy in the hands of your recipients on all those cold, tired mornings. Hit your audience with a large eco-hammer (this is a metaphor – step away from the tool box…), and reap the benefits of showing a greener side to your business. Get them here. Truthfully, these Iwa bamboo mugs have stolen our hearts. 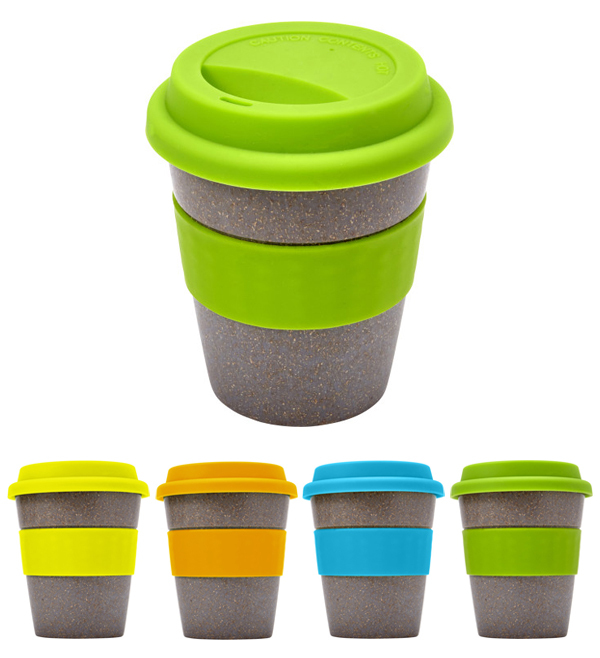 Undeniably cute in appearance, environmentally friendly, strong as an ox (if the ox were a small mug), and serves perfectly as a travel cup for your hot and cold beverages. Get them here. 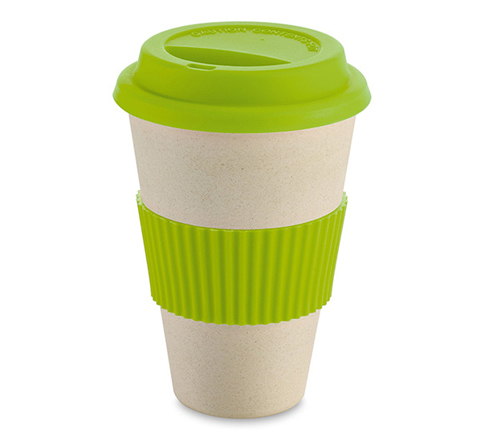 Reusable mugs can save you money, EVERYDAY! 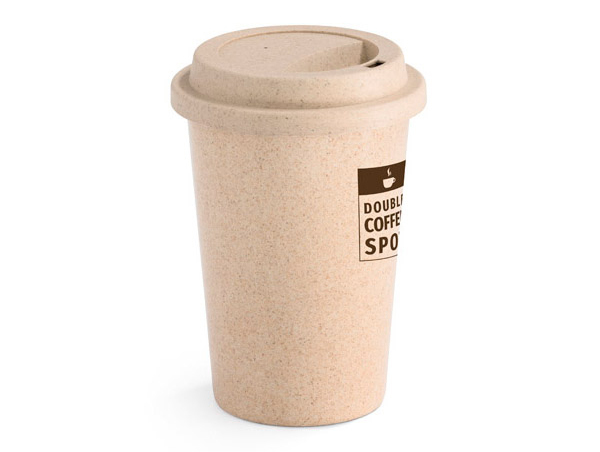 Did you know that some of the largest coffee companies in the world have begun discounting beverages for those who take in their own reusable mugs (for all the coffee lovers who know this already – take this as a rhetorical question…). 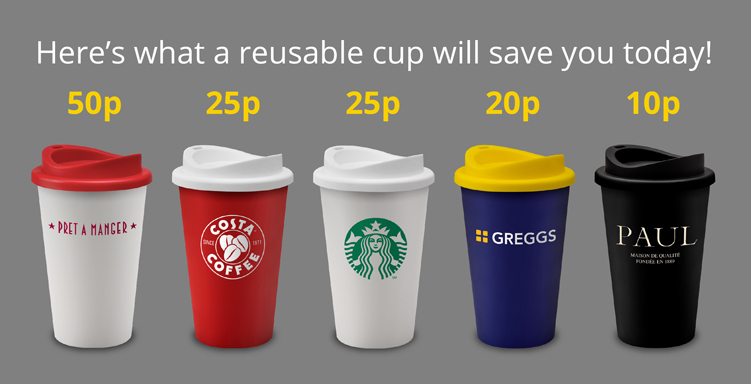 See image below to see how much your audience could save by using any of our travel mugs above.